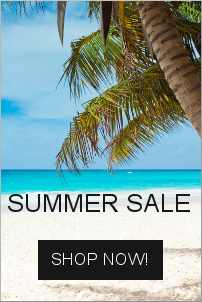 Store Manager for Zen Cart - $0.00 : IDEAS Creative Group, Your image... our business! 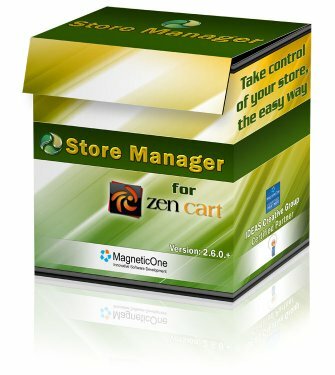 Store Manager for Zen Cart is a Windows program that allows you to quickly and effectively manage your Zen Cart online store from your computer. This solution makes Zen Cart store management much easier and quicker. 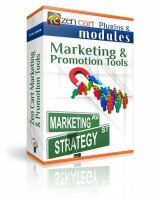 Store Manager for Zen Cart available addons greatly extend its functionality by providing the ability to integrate with other systems and channels. Manage your inventory fast and easy. No more waiting for pages to load = SAVE TIME! 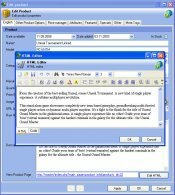 Export products as Excel file, edit it and then import to Zen Cart store. = SAVE TIME! 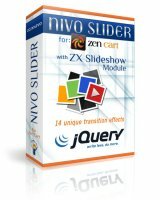 Import products into Zen Cart from your supplier, using CSV files. = SAVE TIME! Zen Cart product import is one of the prominent features, import from Excel/CSV into Zen Cart in seconds. = SAVE TIME! Product attribute management allows you to quickly add, remove and edit product attributes in a matter of seconds with few mouse clicks. = SAVE TIME! Simple category tree with Drag&Drop supported - quickly find and rearrange products in categories using your mouse. Easy and fast without loading pages. 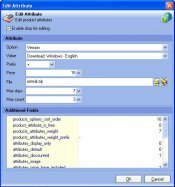 Easy populate feature - using simple clipboard copy/paste product attributes can be copied to multiple products in few seconds. = SAVE TIME! You can create your own Custom Reports - it's easy, just some basic SQL skills required. You get more here than the regular admin panel. Quick product search, advanced filters, order notifications, support for native characters (Japanese, Arabic, Spanish, etc.). Upload only when you are ready to update the changes. Backup/Restore capabilities to undo errors and server failures. Look a more detailed list of features on the "Features" tab. All this from your computer - did I mention that it saves you time? Notice that to add 1 or 2 items and manage low quantities of inventory, customers, orders, and transactions this is not the ideal software for you because you won't see much saved time; this is more a product for store owners that have big quantities of inventory to load and manage or sometimes have the time to work on their stores and don't have the connection. Also is good for store owners that want to connect Zen Cart store to an accounting system like QuickBooks or Peachtree. Note: This is not an instant download as we have to process a license number and send you the information along with the download link. 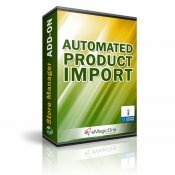 The software ensures fast and convenient management operations: you can add, edit, remove, copy, clone products, categories and attributes effortlessly. Very useful filters and search option will come in handy for your navigation and help you to find all the necessary Zen Cart products by some criteria and sort them out in the way you wish. You can batch update your data by exporting products into the file, edit it and then import products into Zen Cart store. Ultimate management of attributes is available and this all can be done in one and the same window. Images import is possible along with your import of products to store. The process is fast and easy and requires only correctly configured FTP connection. Customers Management section provides you the opportunity to add, edit or remove customers. Orders management allows managing orders by sorting using various filters, managing of Order status types, importing and exporting orders, maintaining order products, calculating discounts, shipping and payment methods. You can gain access to operating reports for your sales, inventory and customer data. The program possesses all the advantages of desktop applications, which include simple and quick installation. Particularly, you just click “Next” several times and it works. The possibility to perform instant changes via direct connection to MySQL database allows to see all changes reflected at your store immediately after they are done and without any delays in updates. The ability to work locally, even off-line and apply the changes only when you are ready is possible through PHP-MySQL bridge connection to your database. Secure connections are ensured by SSH support. The Multiple Zen Cart stores management is available. Set up connection to as many stores as you wish and then simply switch between them. Database Backup/Restore option is aimed at helping users to ensure data safety before performing bulk operations. You purchased this Full License through us. If not - make sure you are using the same email to purchase Store Manager for Zen Cart Additional Licenses as you did to order Store Manager for Zen Cart Full License. If these two requirements are not met - your Store Manager for Zen Cart Additional License will not work. Do you want us to help you with this?